The first Avengers movie really succeeded expectations of world wide movie going audiences. The excitement electrified the theater during the mid-credits scene after the purple alien looking Hulk (actually named Thanos) showed his face. Iron Man 3, Thor 2: The Dark World, and Captain America 2: The Winter Solider teased audiences with specific references to upcoming Marvel movies and Avengers 2: Age of Ultron. Avengers 2: Age of Ultron isn’t the best Marvel phase 2 movie but it is a stellar blockbuster with lots of humor, cool new characters, and great action and special effects battles. Avengers 2: Age of Ultron begins with the original Avengers destroying the final Hydra Base led by Baron Von Strucker, played by Thomas Kretschmann. Strucker used Loki’s scepter, which has the Mind Gem in it, to create two new superpower villains, Quicksilver and Scarlett Witch aka Petro and Wanda Maximoff. Iron Man and the Avengers take control of the scepter but the twins escape. Iron Man and Bruce Banner discover the scepter holds a key to Artificial Intelligence so they use it to create a new peace keeping force called Ultron. Ultron rationalizes that humanity is violent by nature and needs to be destroyed. Ultron allied with Quicksilver and Scarlett Witch start a global war to eradicate humanity with only the Avengers to save the world. Age of Ultron is overall a great superhero movie. It’s not as good as Captain America 2, Guardians of the Galaxy, or the first Avengers. The reason is the story is weaker than the three films mentioned above. It took an about fifty minutes to an hour for me really become emotionally invested in the movie. The sequel has bigger action sequences, the team chemistry is more fluent with their banter and working together, and all of the avengers really have their moments to shine. Hawkeye has a bigger spot light shined on him in this film. He might be the central player in the this film. The Maximoffs, Ultron, and especially Vision are the movie’s scene stealers. Quicksilver and Scarlett Witch are really portrayed and developed as characters in the movie. Quicksilver has this ignorance about his personality but is super protective towards his sister. The special effects used to zip around quickly are stunning. Scarlett Witch really has a central role as a catalyst in the movie. Her ability to wrap people’s minds influences the plot from the first action. She really torments the Avengers and makes the team doubt themselves. Her powers are cool and hopefully she appears in Dr. Strange. Elizabeth Olson did say she would be in Captain America 3: Civil War. Ultron is the best empathic villain ever to be portrayed in a superhero movie. Joss Whedon wrote the character in such a way that audiences will feel for him. His character has a pointview on humanity which people would agree with. James Spader and Joss Whedon really nailed that observation of humanity with Ultron’s tone, dialogue, and his evil plan. A minor spoiler is that Ultron shows empathy towards the Maximoffs twins. He was a damn good replacement for Loki. The Vision steals the spotlight in this film. Jarvis becomes Vision but Vision is a separate independent thinking being with Jarvis’s knowledge and voice as his developmental template. Ultron thinks he destroyed Jarvis but Jarvis survived. Tony Stark, Bruce Banner, and Thor bring Vision to life to combat Ultron. Paul Bettany plays Vision and brings lots of humanistic qualities such as compassion, humor, and wisdom to Vision. Vision is so heroic and worthy that he can do something that no one has been able to do pertaining to a certain god. Vision really stole the show because everybody automatically loves him after his paragraph of dialogue. Age of Ultron has a few negative aspects. There two unnecessary character deaths in his movie, not going to say who, but future films would benefit with inclusion on these two characters. The movie is also one long action spectacle that takes about an hour to become emotionally invested in the film. Joss Whedon never explained how Iron Man became Iron Man after he retired at the end of Iron Man 3. These negative aspects do not take away from the film but it is the reason why Avengers is better than this one. Overall, Avengers 2: Age of Ultron is a fun superhero film. The new characters and Hawkeye really have a predominant role in this film. I loved the ending of the film. Vision and Ultron were the best parts of the movie. I will probably do a spoiler blog post on this movie. Joss Whedon really made a great superhero movie that is a good sendoff for his final helm at a marvel film as far as we know. Avengers 2: Age of Ultron gets a 4.5/5. Marvel’s cinematic universe continues to expand by adding new heroes or villains all of the time. Most recently, the Guardians of the Galaxy were added to Marvel’s space universe. The film itself was the biggest domestic hit of 2014 until American Sniper over took it last weekend at the box office. The first Avengers film was so successful that audiences have been flocking to Marvel movies and trying to find teases what will come into Avengers 2. 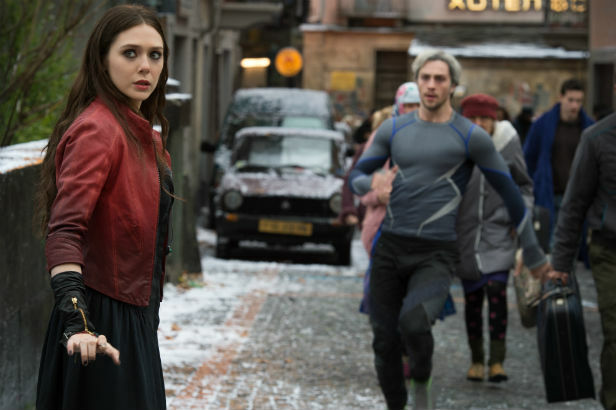 Joss Whedon, the director of Avengers 2: Age of Ultron, announced that Quicksilver and Scarlet Witch will be part of the cast. Last summer, it was announced Paul Bettany, the voice of Jarvis, will play Vision. Vision is an artificial intelligent robot created either Tony Stark or Bruce Banner or Ultron depending on what comic book or television series you watch. 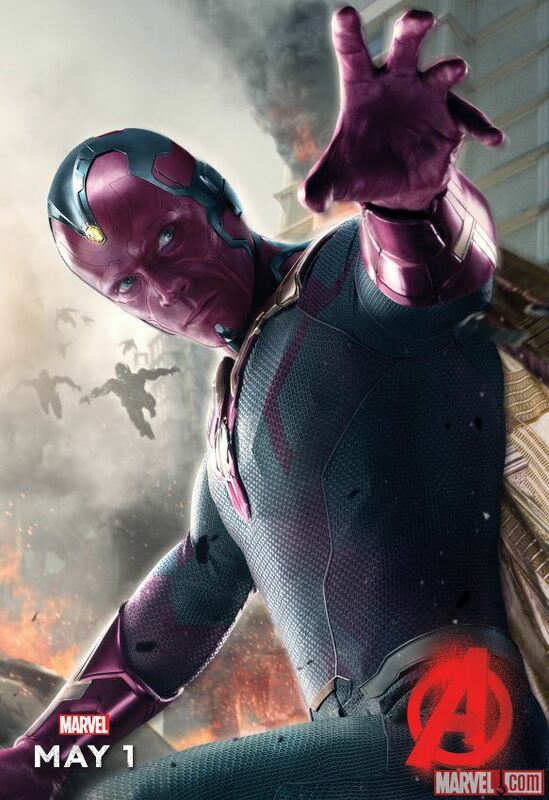 It’s rumored that Ultron, the big evil robot from the Avengers 2 trailer, will create Vision. Vision is very unique character. He is part of the West Coast Avengers, ( include heroes such as Wasp, Ant-Man, or a few other), Defenders (Daredevil, Luke Cage, Iron Fist, and a few other members), and more importantly is a big hero of the Avengers. Vision in all likelihood help connect Ant-man and Daredevil with the current Avengers roster. The character help form a connection between movies and the Netflix’s, TV series called the Defenders. Fan really want to see Daredevil help defeat Thanos along with Iron Man, Spider-man, Captain America, and the newest Avengers from the upcoming movies. Vision might the be key to everything. Vision is also like Data from Star Trek: Next Generation. He strives to be more human. He has a long relationship with Scarlett Witch. They actually get hitched in the comic book but it might happen in Marvel movies someday. Scarlett Witch will be played Elizabeth Olson in Avengers 2. The android is nearly indestructible and really is a complex hero for a machine. 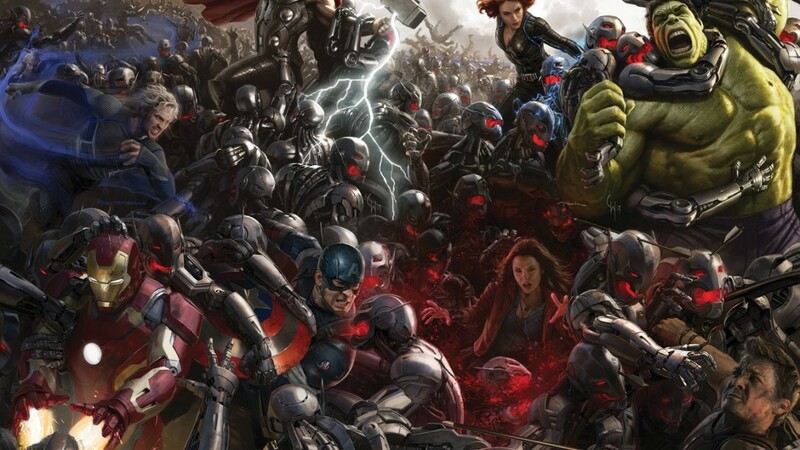 The Avengers 2: Age of Ultron comes out on May 1st, 2015. The movie is already expected to break the billion dollar mark again at worldwide box office. Vision, Scarlett Witch, and Quicksilver will be introduced as key potential members of the future Avengers teams. Vision needed to be written about because many people are already familiar with Scarlett Witch and Quicksilver. He is also getting less attention from major movie media because people don’t realize how important the character is. More importantly, Vision could be that hero who shows up and helps out Daredevil along Spider-man to bring the man without fear into the cinematic universe. side note: Netflix released a new trailer for Daredevil and below is that trailer.